What’s it like to work with LifeBalance? We thought our clients could tell the story best. So we recently sat down with Providence Health Plan’s Chief Sales & Marketing Officer, Brad Garrigues, to talk a little more about the long history between LifeBalance and Providence. LifeBalance: Ok, so tell us about the history and partnership with LifeBalance. 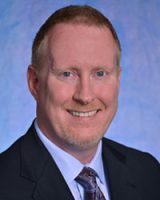 Brad Garrigues has been the Chief Sales & Marketing Officer for Providence Health Plan since 2015. Brad Garrigues: Wow, the history – it’s a very long history; I think it’s now 20 years! It’s been a great partnership between the Health Plan and LifeBalance. It’s been exclusive in our region and LifeBalance has been very supportive of the Health Plan and of our clients across lines of business, so there’s a lot of synergy there. We almost view LifeBalance as employees of the Health Plan in many ways, and our clients do as well. Account executives and account managers will go meet with clients and bring LifeBalance with them. In some cases, LifeBalance will go out to a client representing the Health Plan without our field staff present. Overall, I think it’s been just a wonderful partnership for a very long time now. LB: And would you say LifeBalance played a role in the health plan’s growth, and if so, how? BG: Yes, absolutely. Particularly from a retention perspective. Most of our clients are aware of LifeBalance. Some are more engaged than others. LifeBalance is a service that provides value for members, even if they’re not using health care, and it’s a service that fits well across the health care spectrum. For members that are interested in cultural, recreational, social activities, or just getting out and about, it’s another opportunity to engage in your health benefits that’s not necessarily health care driven. So, it’s exciting and provides value for a premium dollar that they might not otherwise get. Our clients recognize that value, so it provides stickiness in the retention activity. They’d have to give up LifeBalance to go somewhere else, and they’re somewhat reticent to do that. From a pure growth perspective, it means that our retention rates are higher than they would otherwise be, so when we sell groups, it’s just additional growth on a net basis that has really helped the Health Plan nearly double in size over the last 4-5 years. We have certain brokers who understand the value of LifeBalance, understand that it’s something that the Health Plan brings that’s different than other carriers, and for them it’s a value-add that they can share with their clients. We also give our brokers access to LifeBalance, so they can understand the experience and share that with their clients as well. LB: And how would you say LifeBalance has helped your plan stand out from the competition? BG: First of all, particularly as the ACA came to fruition and our industry has been working through that for the past few years, carriers are losing some of the differentiation with the standardization of benefits. It’s become more of a commodity business. LifeBalance helps differentiate our value, helps differentiate our products versus some of our competitors – so from that perspective LifeBalance helps us stand out, even though premium dollars are the primary concern. I think another way that LifeBalance has helped us as a carrier, and this is probably more important, is that LifeBalance and its employees are an extension of the Health Plan. LifeBalance and Providence Health Plan are viewed as fun and exciting, offering something different at employee events – this has really helped us stand out, because we have a great partner. LB: Ok, so how do you think your clients view your partnership with LifeBalance? The Providence Health Plan clients? BG: Particularly our very large, sophisticated purchasers, view it favorably. I’d also say that all employers, all the way to small employers, view the benefit favorably, because it can be more tangible and impactful at a small group level. Our very largest clients engage directly with LifeBalance to organize and coordinate employee events, whether it’s a benefits fair or wellness fair, and LifeBalance always gets rave reviews from the employees and our clients – from a client-facing perspective, we could not find a better partner in LifeBalance. LB: And how would you say LifeBalance has helped you gain new group business? BG: Ahh that’s a good question! New group business is a little more challenging. I think where we have been successful is in the small group space, because, again, that’s where it can be more tangible and more real to an end-user pretty quickly. Brokers value a differentiated experience. The small group space, in particular, is a somewhat commoditized, price-driven marketplace, so having those value-adds at low cost or no cost to your employers and their employees has been really important. Offering LifeBalance has been a part of our growth in small group; we’ve more than doubled in size over the past 3 years in small group, and certainly LifeBalance has been good for us in that regard. We’re not only the market share leader, but we’re larger than the next two carriers combined, and LifeBalance has been very positive for us. LB: That’s exciting! With some uncertainty in healthcare right now, just a little bit, what role do you see LifeBalance playing in helping Providence continue its success and growth? BG: Good question. I think where LifeBalance helps with the uncertainty is that there isn’t a lot of uncertainty with this as a product, right? Even with a health benefit, an employee may not use the benefit, so there’s uncertainty even if you have benefits. Are you going to use them? How are you going to use them, year to year? I think with LifeBalance, you have a service that’s available all of the time, regardless of the activities you’re looking to engage in. You can go literally every single day, multiple times a day, and find things to do for the weekend, or find things to do that following month. It doesn’t require a health event to engage in and, hopefully, you’re engaging in it otherwise. So, it’s a way for people to feel like they can get good value from their premium outside of the pure health care benefits plan. LB: Why do you think other plans out there should partner with LifeBalance? Outside of your markets, of course. BG: For a number of reasons: One, they get a great partner – a partner who is really invested in their business; a partner who is relatively low-cost compared to everything else we look at in terms of providing benefits and products to our customers. LifeBalance is an economical way to provide immediate, tangible value for their customers across product lines. LB: What’s your favorite LifeBalance discount? BG: There are a lot of them. I tend to like the events or experiences, whether it’s a Timbers game or if there’s a musical in town, LifeBalance usually gets really good tickets at an economical price. In some cases, these are sold out events that you couldn’t otherwise find tickets for, so that, to me, is a valuable service. LB: Definitely. Like Hamilton. And I think you’ve kind of already answered this one, kind of through the other questions, but if you could just say a couple more words on Providence’s experience in working with LifeBalance as a vendor/partner, and what that’s been like for you and your colleagues. BG: LifeBalance as a strategic partner has been outstanding. Our staff love working with the LifeBalance staff, love taking LifeBalance out to our clients and out to our broker partners. There are occasions where we have the opportunity to provide funding to put on various events and often times, given our success with LifeBalance, we’ve used that funding to pay for LifeBalance to either coordinate the events and/or supply prizes for the event, and that’s been very successful. Again, our largest clients can engage directly with LifeBalance to put on various events, and the reviews we get back are outstanding, so we feel very comfortable with LifeBalance as a partner representing Providence Health Plan.